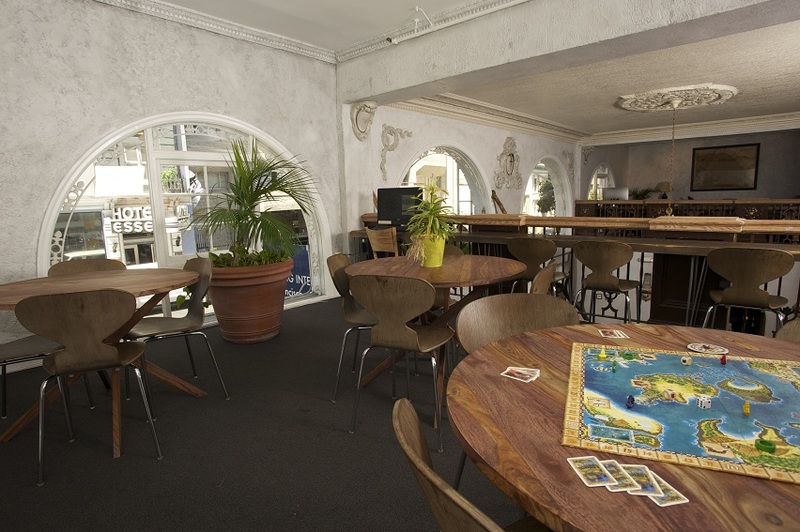 Molly, the Manager of HI San Francisco City Center, shares what makes her hostel so special. The Tenderloin district of San Francisco, where our hostel is located, is right smack dab in the heart of San Francisco. We have easy access to every great thing to see and do in the city, and are surrounded by tons of galleries, music venues, and local shopping. We are also lucky enough to be in what was known as ‘little Saigon’ so there are endless options for delicious cheap eats, and of course super cool bars! What do you recommend nearby? We are three blocks from the Civic Center of San Francisco, including City Hall, the Bill Graham civic auditorium, the Asian Art Museum, the Symphony, and the Ballet. We are also one block from the popular night life area known as ‘The Polk Gulch’ and 7 blocks from Union Square. 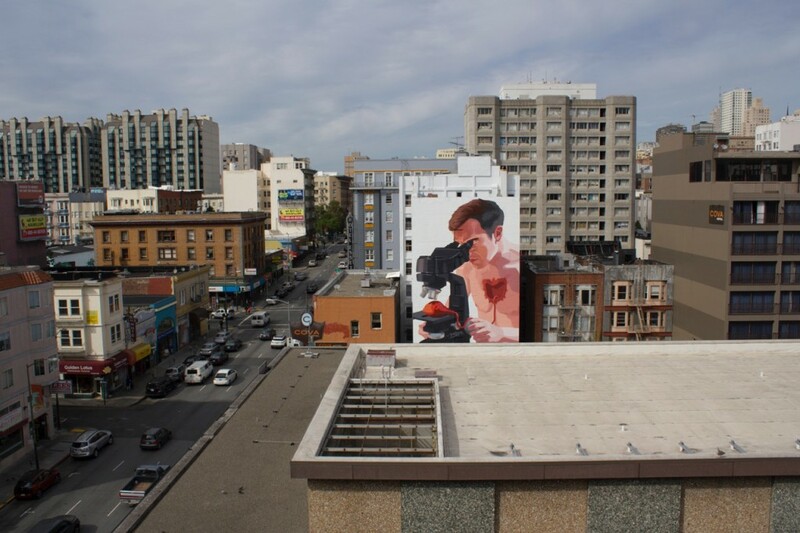 The neighborhood also boasts amazing street art, and the monthly Polk street Art Walk. What’s unique about HI San Francisco – City Center? Our hostel was originally built in 1923 as a hotel, so we are lucky to have a great physical structure. All of our rooms have en-suite baths, and none of our rooms are larger than 5 beds. We have a great kitchen, a hearty free breakfast (plus you can add a plate of eggs or pancakes for just a buck! ), and tons of fun, unique, and free/cheap activities for our guests (our weekly China Town Walking Tour is my personal favorite, though our Thursday night pub crawls are always popular!).. Our lobby area has a lovely open mezzanine, which we’ve set up to offer lots of different kinds space so travelers can choose their level of interaction. 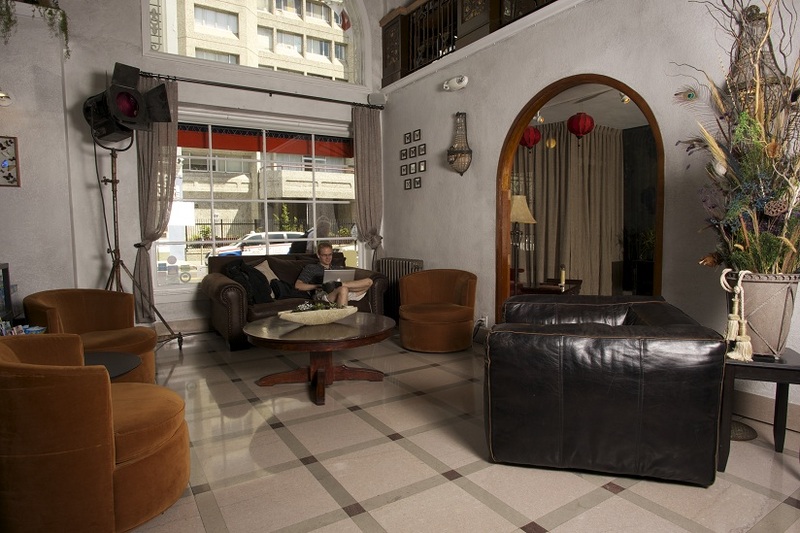 Our highlights definitely include our ‘Mystic Lounge,’ with it’s hand painted Art Nouveau floor, astrological texts, and photo booth, as well as our sweet cafe/bar, known as ‘Ivy’s Place,’ where we offer up snacks and local beer and wine for our thirsty guests. Having options for how to spend your time and great opportunities to meet other travelers is, in my opinion, the most special thing about City Center. one of the very special things about HISF City Center is our amazing and multi-talented staff. Our Activities Coordinator, Anthony Jones, works magic with his tours, activities, and decor influence. Our Mystic Lounge floor was designed and hand painted by a staffer, now a great volunteer, Danielle Foerste (with some extra help from other staff). One of night Auditors is a prolific artist, and we have many of his pieces around the hostel, most recently was the addition of a three panel mural inspired by the hostel. Each and everyone of our team member brings a little something special to our hostel, and our housekeeping team is no exception. 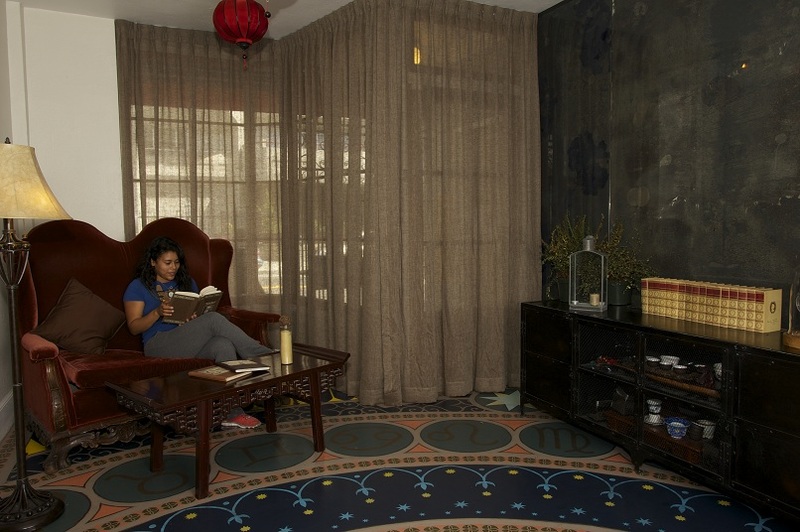 Many of them, including our impressive Housekeeping Manager, Ivonne Garcia, have been working at our location for years, even before it was a hostel. They keep our cleanliness standards at the top of the charts, and the care they show to our property and to our guests is outstanding. Tell us about the hostel’s HI-Q certification: what does this mean for guests and the quality they receive? For me HI-Q is all about the quality loop. We know we offer top service, friendly and warm accommodation, and great quality, all at a low rate, but we are also always looking for ways to improve. With HI-Q we have systems in place to reflect on our work, incorporate guest feedback, and adapt our systems to be even better. When guests see that we’re HI-Q certified, I hope that tells them that they will not only get a high standard of comfort and service, but that their experience with us and their feedback about their stay, really matter to us, and will be a meaningful part of our ongoing efforts to improve. What does the HI-Q certification mean to you as a manager? It feels great to know that we are operating at such a high standard. Even before I worked for this particular hostel, City Center had a reputation for being a well oiled machine. Now I feel like I have a better understanding of our practices and procedures, and that we can make more informed decisions about necessary changes. It’s much easier to incorporate guest and staff feedback, and we don’t always feel like we’re starting from scratch with every issue. Instead we can look at what we’ve already done, what worked, what didn’t, and make a change. HI-Q helps us to stay organized and structured in our operations, without dictating what those operations will be. What’s coming up? Any local events, festivals or attractions to tip off our travellers for the year ahead? Otherwise, we have recently installed beer taps in Ivy’s place so we can serve beer on draft. There’s always something new and exciting happening at City Center, so it’s always a good time to visit! 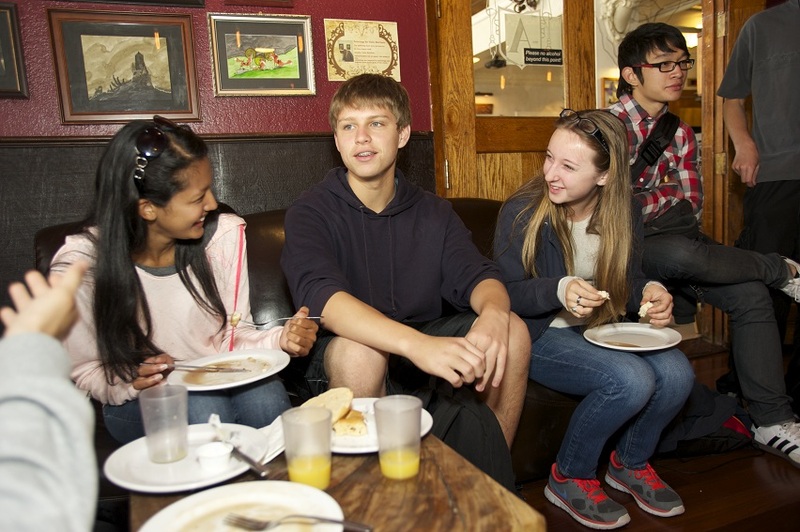 Had an incredible experience at one of our hostels? Fancy talking to us about it? Tell us your stories in the comments below.